Summary: In April, credit-reporting agencies dropped all information on tax liens and court-ordered debts from consumer credit reports and ratings. How this could affect your underwriting practices. 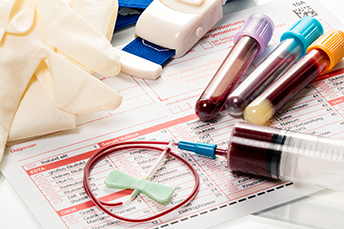 Here is some good news - it seems a blood test known as a liquid biopsy has been shown to detect tiny amounts of DNA released by 10 different types of cancer cells in the body. Doctors and researchers hope such tests could soon be used to catch cancer at an early stage. The test correctly identified pancreatic, ovarian, liver and gallbladder cancer 80% of the time. The test also had decent accuracy rates for lymphoma (77%), myeloma (73%), bowel (67%), lung (59%) and head/neck (56%) cancers. Let's hope this new test can soon be leveraged to treat people faster. While not as impressive as having a blood test that identifies cancer in humans, bankers will have to adjust existing credit underwriting methods to handle changes to borrower credit scores. As you likely heard, on April 16th, credit-reporting agencies dropped all information on tax liens and court-ordered debts from consumer credit reports and ratings. The result was that about 17% of consumers saw their credit scores rise. While this change largely affects consumers and not necessarily businesses, there are many small businesses that rely on the personal credit score of their owners to secure loans. Some bankers say the change is unfortunate because the mere existence of a tax lien speaks volumes about a customer's ability to meet financial obligations. Eliminating that information from credit reports could mean banks can't fully see the risk they're taking when lending. Others say most banks would agree that it's important to get a clear look at their potential customers' financial data. They posit that just such a clear look was exactly what was missing in the system that listed tax lien data, because judgments and liens were often linked to the wrong people. Last summer, credit-reporting agencies Equifax, Transunion, and Experian said that 96% of civil judgments and 50% of tax liens weren't connected to sufficient identifying detail. As such, all three companies booted that information from their reports. It's difficult to know exactly how many credit scores will rise now that they don't take information on tax liens and court-ordered debts into account. Of note though, as of June 2017, about 55mm people had tax liens or court-ordered debts on their credit reports. Fortunately for bank loan portfolios, there are other ways to determine which loan applicants may have undisclosed debt obligations. Consumers who have tax liens or civil judgments often have other signs of credit risk as well. Here the data shows about 89% of the people in this group have credit records that show debt-paying delinquencies of 90 days or longer vs. just 34% of people without liens or judgments. Customers with liens and judgments also tend to have subprime credit ratings. Here the data finds about 71% of people in this group have credit scores of less than 620. If your bank is wary, remember that credit scores are always in flux, so this change is more in that arena. To help protect your bank and keep it healthy, make sure your underwriting practices account for this change and adjust your processes appropriately. Fed Chair Powell said the current marijuana situation "puts the supervisors in a very difficult position", so he wants to see it clarified. The issue is difficult because while many state laws permit the use of marijuana, federal law still doesn't. The House Appropriations Committee has voted down a measure that would have defended banks that opened accounts for cannabis businesses from any punishment by federal financial regulators. After reviewing about 600mm customer accounts at 40 large banks, the OCC reports it found about 20k accounts that had compliance issues. Investors breathed a sigh of relief on the news that the issues at Wells Fargo were not systemwide. About 70 people in Nigeria and the US were arrested for an email scam focused on American businesses. The scam stole hundreds of millions of dollars in 2018 alone. Fraudsters masqueraded as vendors and sent fake invoices to finance departments requesting payment. The FBI reports that "business email compromise" schemes have more than doubled from 2015 to 2017 to $675mm in losses reported. Diebold Nixdorf and Mastercard joined forces to pilot two new ATM products: Mastercard Cash Pick-up (enabled ATMs deliver cash more quickly and securely to authenticated customers) and Cardless ATM powered by Mastercard (using the mobile banking app, users are able to withdraw cash from the nearest ATM).